Cake decoration is an art which I am still struggling with to come to a decent level. After viewing few of my blogger friends outdoing in this art of decoration, I have developed a little inferiority complex about myself. 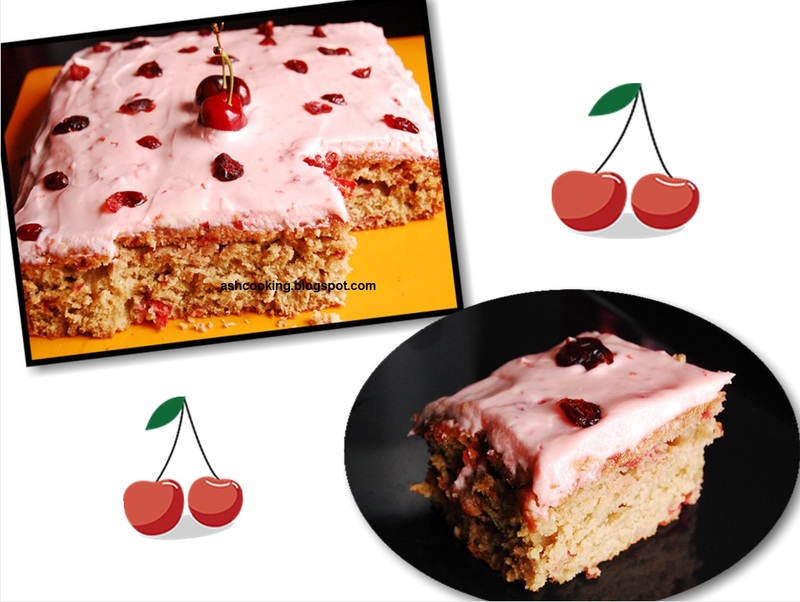 Frankly, prima facie what appears by the variegated display of colorful cakes around the blogging world is that cake decoration entails a lot of patience. Of course one needs to be imaginative too to be able to conjure up various ideas for adorning the cakes. But at the end, to put ideas into execution, you need to show patience and dedication which I believe I lack in myself. Hopefully, someday with trial and error I would be able to achieve some decency in my cake embellishments. 1) Mix in the dry ingredients - flour, baking soda, baking powder and sugar in a bowl. Keep aside. 2) Using an electric beater, beat the wet ingredients - eggs, butter, buttermilk, pie filling and vanilla essence to a smooth puree. 3) Gently fold the wet ingredients into the dry ones until no speck of flour is visible around the rim of the bowl. Do not overmix. 4) Preheat the oven at 350 F/180 C. Grease a jelly roll pan generously with butter and a bit of flour. 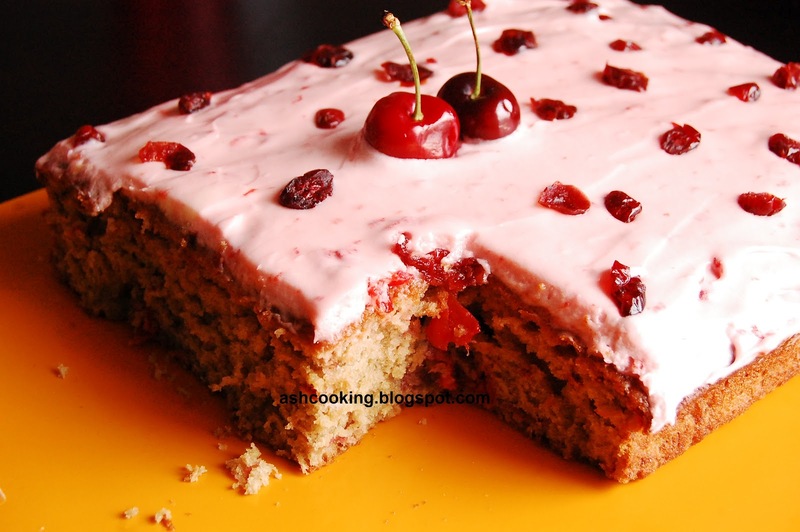 5) Spread the cake mixture in the jelly roll pan evenly. 6) Bake for about 40 minutes till a toothpick inserted at the centre comes out clean. 7) Now beat the ingredients for frosting together into a creamy paste. 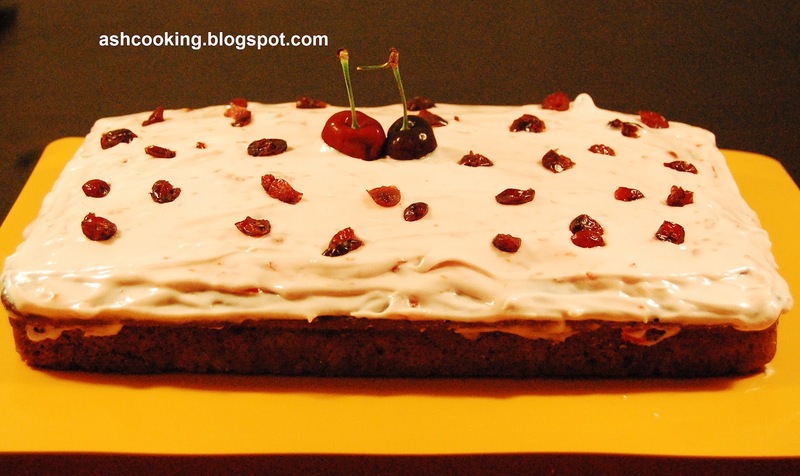 With the help of a frosting spreader, distribute the frosting uniformly on the cake. 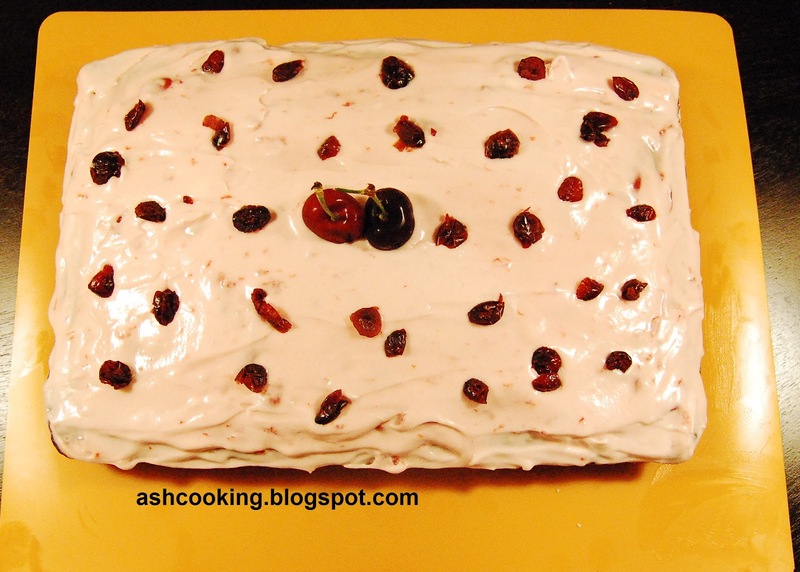 8) Garnish with fresh cherries and dried cherries.